Jupiter, Florida is located in Palm Beach County and considered a town. The population of the town is about 61,000 people. It's considered a suburb of the Miami Metro area, which has a population of about 6 million people. Even though the town was named as the 9th Happiest Seaside Town in America by Coastal Living, the dangers of driving are still found throughout the area. Palm Beach County has a population of about 1.4 million people. It's a very popular area for visitors, as well. Many international visitors own second homes within the area, while others just come to enjoy the beaches and the many attractions found nearby. The high population of the Miami Metro area mixed with millions of yearly tourists provides a number of different driving styles in the area. Interstate 95 provides the main access to the area, along with Florida's Turnpike. The section of I-95 found in Florida is known as the deadliest stretch of highway in the entire United States. Palm Beach County experiences about 15,000 traffic accidents every year resulting in more than 175 fatalities. Traffic accidents in Jupiter and Palm Beach County are on the rise. Before you get too upset about your recent ticket, it's important to know, if the roads were not properly monitored, these stats would be far worse. About 127,000 traffic tickets were given to drivers in Palm Beach County for 2015. Just under 70,000 of those tickets were given to drivers caught speeding, while more than 7,500 were given to those driving carelessly. Both of these offenses often lead to traffic accidents. Only about 15% of the total tickets issued were dismissed by a judge in Palm Beach County. Your chances of having your traffic ticket dismissed are very slim. If you continually disobey the traffic law, you may end up with a suspended driver's license. It only takes a few tickets in a short amount of time to have your license suspended. Just a few tickets and you could be figuring out who will give you a ride to wherever you need to go. After receiving 12 points in just a 12 month period, you will face a 30-day suspension. If you want to deal with a 90-day suspension, get 18 points in 18 months. 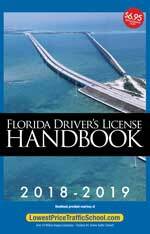 Drivers getting enough tickets to accrue 24 points in 36 months will face an entire year without a driver's license. You could take the chance and drive on a suspended license, but if you're caught, the penalties are steep. Suspended drivers caught driving face fines up to $500 and up to 90 days in jail. This doesn't include reinstatement fees or the higher insurance rates you'll have to pay. Online traffic school allows you to keep points off your license. You will need to complete the basic driver improvement course, which you can do from the comfort of your own home. The process is very easy. Start by paying your ticket and letting the clerk of the court know you will be enrolling in traffic school. Then, enroll right online and complete the course. You will be issued a certificate of completion, which you will need to give to the clerk of the court. Once you turn in the certificate, you will avoid the points going on your license and any hike in insurance rates. You get to take the basic driver improvement course up to five times in your lifetime. If you receive a ticket and you haven't taken the course in the past 12 months or five times in your lifetime, you're eligible to enroll in traffic school. You can always check your eligibility status with the clerk of the court. Traffic tickets issues by any branch of law enforcement in Jupiter, Florida are handled by the Palm Beach County Clerk of the Court. 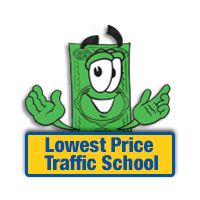 The clerk of the court will take payment and your certificate for traffic school completion. For more information about the Palm Beach County Clerk of the Court, you can visit the website.